Featured in a variety of this year’s fashion shows, street style fashion seems to be making a major comeback due to the 70s revival. The freedom and rebelliousness transcending this season’s neo-seventies trends provides a lot of leeway (and luckily, courageous fashionistas are more than likely to experiment as a result). 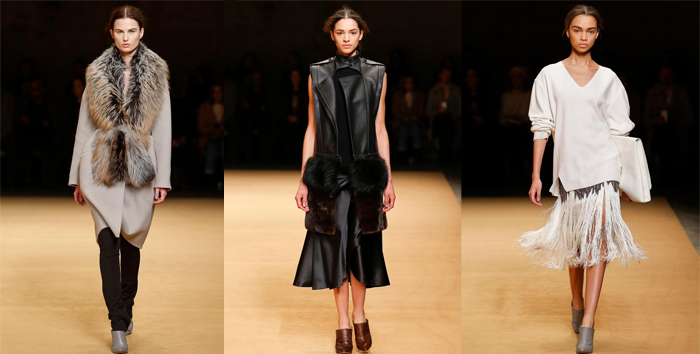 2015 Fall/Winter is all about loose fabrics, straight lines, sloped or naked shoulders, fur and shearling. If you’re looking to prepare for this season’s fashion requirements, there are a few collections to draw inspiration from when constructing your outfits. If there is one thing that the Jenner twins managed highlight in their holiday collection is the awe-inspiring mix of casual and chic. Featuring diversity through the adoption of more than one style in the same outfit and the creativity of shape and color code, the Kendall & Kylie Jenner Holiday Collection is a great starting point. One of the most noteworthy aspects of the collection is the return of the ripped jeans trend. However, this time around, it’s high-waist constructions that have entered the spotlight. Another eye-catching aspect is the asymmetry and looseness of tops: Kendall & Kylie Jenner tops and shirts are mostly off-shoulder. The collection also features waist-length knitwear items that balance out the rest of your outfit. If it’s bottoms you’re after, the Levi’s Fall/Winter 2015-2016 collection is what you should be studying. For one, it seems that high-rise trousers are making a comeback alongside the beloved skinny jeans we’ve grown so fond of. Neo-seventies inspiration is also present in the form of discreet flare jeans, straight cuts and the “boyfriend” trend. And what collection would be complete without the tapered fit and its relaxed attitude and easy fit? A slightly different approach to street-style inspired fashion, the Sally LaPointe collection is a great source of ideas for casual outfits with a twist. The collection incorporates a great deal of fur, high collars and strips. The Sally It is a great example of the more casual usage of fur in otherwise bland apparel. While the high collar trend may make for an uppity impression, the fringes and strips of material used for skirts and tops brings a wild and refreshing vibe to rebellious looks. As you would expect, each designer incorporates certain aspects into their collections, and Andrea Lieberman was sure not to disappoint with her A.L.C. Fall 2015 collection. Shearling and tweed are predominantly featured, however, the designer did so in unexpected and refreshing way. Coats and jackets showcase libertine designs while the unique materials used sway towards earth tones and darker colors suitable for the season. Pairing these uncommon garments with a well-chosen canvas & leather backpack can truly make you stand out. 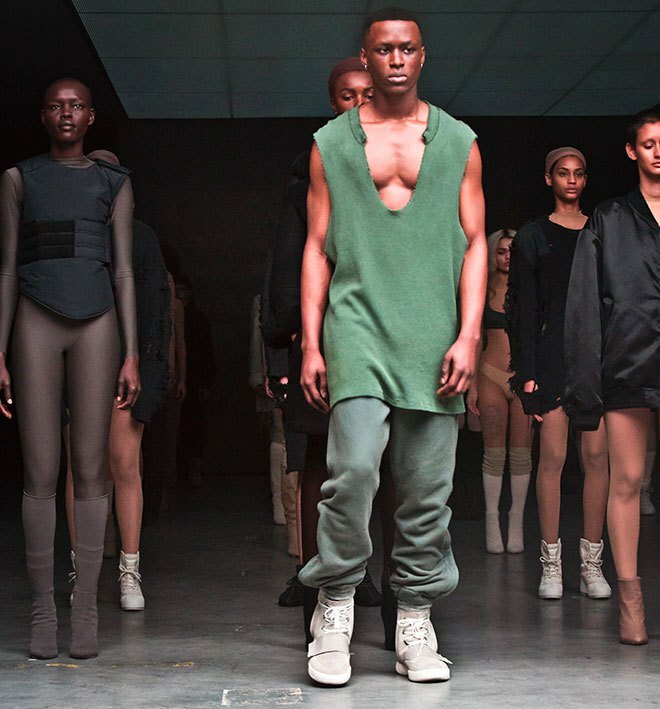 Kanye West’s Yeezy collection takes street-style inspiration to a whole new level, not only because of the unique cuts and rough silhouettes, but also because of the choice in footwear. Strikingly distinctive through shape alone, the Yeezy Season 1 collection features suede trims, leather and rubber. The high-top format is taken up a notch through a design that mimics a mixture of street footwear and combat boots. Intended to be worn untied, the Yeezy collection truly highlights the militaristic ready-to-wear inspiration at its core. The overly large and loose tops and jackets can be mixed with a tighter fit of bottoms for a relaxed look. Alexander Wang’s latest collection features stripes, one-sleeve sweatshirts, turtlenecks worn right and cropped sweaters. Whether in loose tank tops and t-shirts, stripes are a common feature that can be combined with straight line and skinny jeans alike. Off-the-shoulder pieces are also ubiquitous, tough in a rather wild approach – one sleeved blouses and knits that you can fix up with any kind of bottom. Taking from Alexander Wang’s collection, turtlenecks and roll-necks are back in style for both men and women. One thing is clear, though. Street Style collections draw from the mild colors of autumn and feature large tops and coats that fall down heavily over the shoulder.